NB: This book was previously published with All Romance Publishing. There are no additions to the original story, just a change of cover art but due to the demise of All Romance, if you have already purchased this title and require a copy, please email RJ with proof of purchase and she will send you a replacement. Stanford Creek is a series of individual stories set around the fictional town of Stanford Creek. Although linked, each book can be read as a standalone. Erzabets Enchantments - "....Oh this one is a page turner. You won't want to put it down and you sure as heck are going to want a long, tall glass of iced...well, anything. 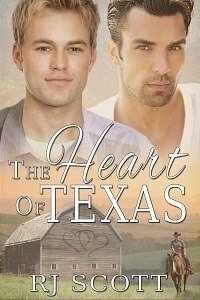 *grin* This is a beautiful story and the start to a great series...."
Cutting Muse Blog Review - "....Author Rozenn Scott has written a beautiful and heart warming story ... This was an amazing story. I loved it to pieces and recommend it to you all...."
Hope, Dreams, Life... Love - 5/5 - "....The heroine Megan is a brave woman who sees more than what meets the eye. She looks beyond the surface and is willing to give a stranger the benefit of a doubt. I adored her brothers who were so protective of her. Yeah, they intruded sometimes, but they always had her back. ... The hero Cody or CJ ran from some major disasters and tragedies in his life, but in the process he re-discovered who he really was and reconciled with his best friend ever...."
United Indie Book Blogs - 5/5 - "....Notes and Roses is CJ and Megan’s story and it is a story worth reading. This is a powerful story of love and overcoming the fear to put you heart in the hands of someone else. When I first started this I didn’t think I would enjoy it as much as I did but I enjoyed every word of this story. The writing was captivating the author literally draws you in the character’s world. This will not be my last book from this author if this is what she has to offer. 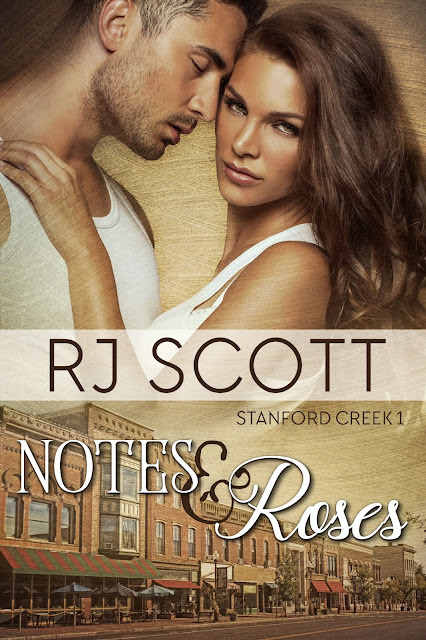 I say let Notes and Roses draw you into CJ and Megan’s world and let it hold you captive. You will not be sorry...."
Megan Campbell stepped away from the cash register of Notes & Roses and leaned against the back counter. She put her right hand in her jeans pocket and, as carefully and unobtrusively as possible, removed her cell phone and scrolled to Justin’s name. What should she text her brother? Help sounded like a good start. Or possibly, there’s a man in my shop and I think he’s drunk or stoned. Yep, text something like that to Justin, and he would come in guns blazing. Then he’d pin the weird guy to the floor and read him his rights. And the man currently staring at a wall didn’t look dangerous, just lost. Homeless, maybe? Something more specific then, like, there is a vagrant in here, and he needs help, what should I do? The man moved a little. Away from her side of the store, the “roses” part of the setup, and over to the “notes” side. He was peering at the shelves, a collection of stationery and household bits and pieces like cushions and local crafts. He stumbled a little, turned to the side, and looked up at the posters displayed on the far wall. Landscapes of Vermont: rivers, small towns and red high-sided barns with gently rolling hills of emerald green. “Sorry?” Megan asked—but he didn’t reply. He’s talking to the wall now. Should she add that to the text as well? This was going to end up being a hell of a lot of typing to explain what he was doing. Despite how odd it all looked, the visitor wasn’t threatening her. Also, Rachel would be back soon. Maybe between them they could sort this out? He hadn’t even spoken to her, but something wasn’t right. Maybe it was the way he’d been standing, his hands fisted at his sides, staring now at the new Valentine’s wall display of flowers and hearts. Maybe it was the way he was dressed; dark jeans caked in mud, heavy boots that had tracked in the same mud. Not to mention the black hoodie with the hood partially hiding his face from her view. Her visitor moved, not his feet but his fists, unclenching and bringing his hands up to knuckle his eyes and then cover them. Megan’s cop brother liked to explain these things to her, but she didn’t need his help to recognize when despair in someone turned to anger. Okay, this was so not going the way she wanted it to go. He was incoherent. Maybe he was homeless and needed a place to get out of the persistent snow that had plagued Stanford Creek the last few days. He’d evidently been somewhere slushy and muddy, if his clothes were anything to go by. That finally got his attention. His hands came down, and she got her first clear look at his eyes and face. What she saw had her reaching to send another text. He had blood on him, smeared down from his temple into his wild beard, and his blue eyes were bright with something. Drugs maybe? Long, dark hair hid some of his features, and he looked like he was about to keel over. “Sir?” This time she was within reaching distance as he rounded on her, his lips pulled back in a snarl—or a grimace of pain, she couldn’t be entirely sure. Whatever, it wasn’t the look of someone who wanted to be spoken to. Time to leave. She glanced at the front door, imagining the steps between here and there and whether or not he would lurch her way. When she focused back on him, all she saw was a situation that could get out of hand. He was a good six inches taller than her five-nine, broad and built, with tattoos curling around his wrist, disappearing up under the sleeve of the hoodie. Everything about him looked wrong. He didn’t move again, or even acknowledge her; all he did was stare with bright sapphire eyes, focused on a point behind her, scary and intense and so damned fixated with his expression in that scowl. And still the stranger stood there, staring at her. At least he hadn’t moved any closer. He closed his eyes and wiped the blood that was trickling down his face, looking down at his hand and staring at the red that streaked his skin. Megan thought she heard a sob, but couldn’t be sure. Compassion welled inside her. Vagrant or not, dressed in soiled clothes and with the hood up, he didn’t have to be a criminal. “Sir? Do you need help?” She held out her hand, but he stepped closer to her and damn it, she may have had self-defense training but she wasn’t stupid. If the man was hopped up on drugs, she had to stay out of reach. The door opened and Justin stepped in, all uniform and pissed-off attitude. Megan inclined her head to the man Justin evidently hadn’t seen in his dramatic entrance. Justin could handle himself, and he had a gun; he’d know what to do. Megan didn’t hear the response; she came out from behind the counter, ending up next to her brother. The adrenaline that had flooded her to deal with this was beginning to ebb, and she went down in the same crouch. The hood had fallen back and exposed his hair. The stranger was young; maybe the same age as her, and a long cut on his temple oozed fresh blood. Thinking on her feet, she located a clean tea towel from the small kitchen in the back and as an afterthought grabbed the first aid box. There was nothing more than Band-Aids and small bandages in it, but there may be something in there to press against the wound, something sterile. The door chimed again, but it wasn’t the paramedics yet. Instead her business partner and cousin, Rachel, stood in the door with her jaw dropping and the cold of the rain blustering in behind her. “Shut the door,” Justin and Megan said at the same time. Rachel closed the door with care, and her expression didn’t change. “Do we know who he is?” Rachel asked. “Should we check his wallet or something? He could be here with someone…” She glanced out the shop window as if expecting the man’s friends or family to be searching for him. Then, in silence, they stood and waited for the paramedics to arrive and, all that time, Megan stared down at the stranger, memorizing every bump and scratch on his face. What a waste. He could be so handsome, almost pretty, with those stunning sky eyes and the plump lips. He’d be a killer if he smiled, she thought. Megan didn’t feel much like discussing the unconscious man. She wanted the help to get here soon. The paramedics arrived and, in a flurry of motion, they asked rapid questions of Megan, which she couldn’t answer in full. “Did he have a fit? Did he choke?” She answered as best she could and hoped that was enough for them to have some idea what had happened. They checked John Doe’s vitals, hefted him onto a gurney and left, all without the man regaining consciousness. Justin followed soon after, giving Megan a quick hug and extracting a promise from her to stay safe, and then it was Rachel and Megan alone in the shop. Rachel looked at the door and back at Megan, as if she were expecting another strange man to come in while she was out and was worried about leaving her. Megan went back to the small storage room at the back of the store. She pulled out the mop and bucket and the cleaning supplies and, by the time she came back out, Rachel had gone. She wasn’t surprised. Evidently, alongside her phobia about blood, Rachel had analyzed the situation with her rational, logical approach and had decided Megan could manage another strange man collapsing on their floor if she had to. Megan cleaned up the smears of scarlet and the tracked-in mud, and realigned all the notebooks and stationery on the knocked shelf. While she worked, all she could think was, despite the shock and drama of what had happened, the man with the beautiful sapphire eyes hadn’t seemed dangerous to her. Confused, high or drunk, desperate, traumatized, wet and muddy, maybe. But certainly not dangerous.